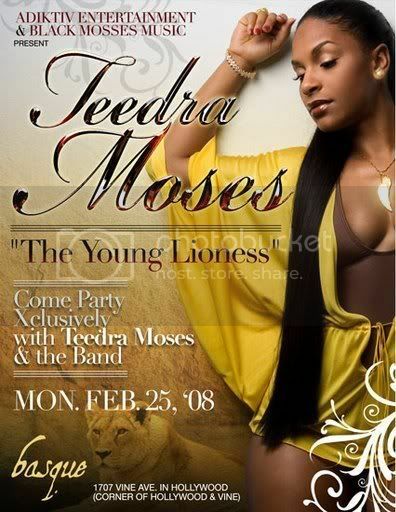 Join the R&B sensation TEEDRA MOSES "The Young Lioness" with her band in Hollywood, California at 9:00pm on Monday February 25, 2008 as she hosts at BASQUE nightclub located at 1707 Vine Avenue, Hollywood CA (on the corner of Vine at Hollywood Blvd). 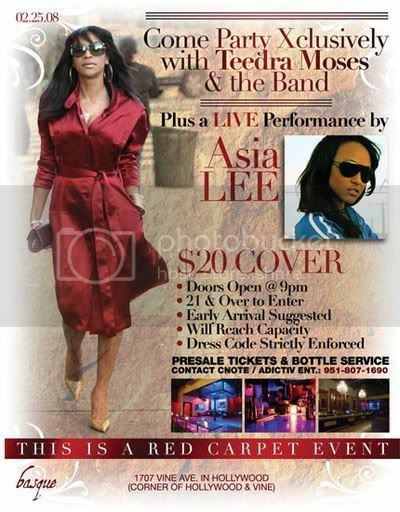 Teedra will hang out with the fans and perform a couple songs. This event is brought to you by Black Moses Music and Adictiv Ent.